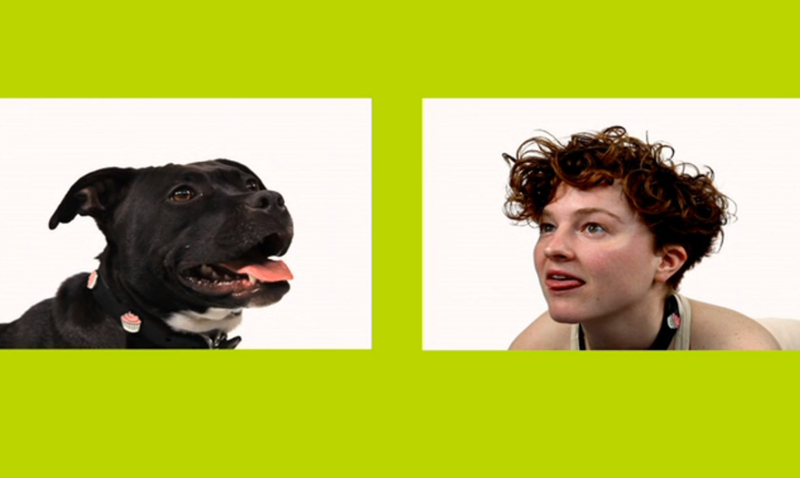 By nature or by arf (Dog Portraits) is a video diptych about learning through the attempt of mimicking another’s posture and perspective. On one side, a series of dog video portraits play, on the other, the artist’s best reenactment. One aspect of a dog’s success as a companion-animal is their ability to read the human face and their awareness of human gaze. By nature or by arf (Dog Portraits) flips the customary “reader” and the “to be read” roles of the dogs and humans, rethinking human dominance over other species.